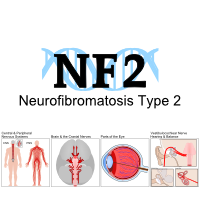 The primary treatment of tumors the result of neurofibromatosis type 2 (NF2) condition is resection or surgical removal of tumors. There are risks and advantages of all treatment options; 1) radiosurgery, 2) surgical resection, as well as 3) watch and wait. Radiosurgery is surgery using precisely targeted radiation to destroy tissue without cutting. [merriam-webster dictionary] Radiosurgery options include gamma knife due to its precision of treatment over previously use of CyberKnife. Proton (proton beam/LINAC) is slowly becoming more available and holds better holds better accuracy than gamma knife. The highest amount of radiation possible is given in one high dose treatment session. SRS is preplanned prior to the treatment which results in accurate target positioning of radiation to the tumor. The tumor is mapped. A lower dose of radiation is given than in SRS. The radiation is given in multiple treatment sessions. FSR is preplanned prior to the initial treatment resulting in accurate target positioning of the radiation to the tumor. The tumor is mapped. Conventional Radiotherapy is radiation given in multiple treatment sessions. Consists of a general scan just prior to treatment and radiation aimed at the center of the tumor mass. Some of the concerns of radiation therapy are related to changes in the tumor. 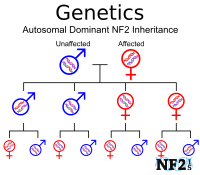 The success or failure of treatment is unknown until changes can be detected. 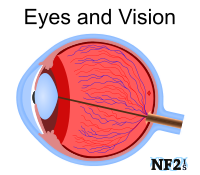 Treatment is deemed a success if the tumor stops growing or shrinks and a failure if it continues to grow. These changes can take up to six months to see on an MRI. Also radiation can result in initial tumor swelling before shrinking or stabilizing. Even if a tumor might eventually shrink after treatment, there could be potentially harmful consequences of swelling depending on tumor shape and location. 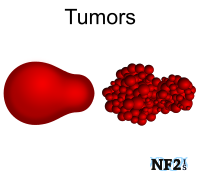 There can be further complications even when tumors to shrink, the shrinkage may only last for a period of years and if the tumor begins to grow, but radiated tumors have a chance of require follow up treatment. Radiation treatments change the consistency of the tumor mass making subsequent surgery more complicated. 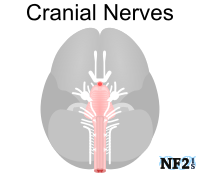 It may also result in more extensive nerve damage if surgical removal is required. Impaired Mental Status - alertness complications, amnesia, confusion, and disorientation. Intellectual Impairment - This is mental retardation due to brain cell death in the area of the brain that was treated. Brain cell death can cause Seizures. 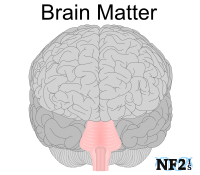 At birth and throughout adolescence, the human brain is in a developmental stage. Radiation therapies done before the brain is finished developing leaves people at a higher risk of long-term cognitive issues. A patient with an ABI or CI may have their implant permanently damaged by radiation if it is administered near the device. The implant should be a specific distance away. The exact distance varies based on radiation doses, but would typically be safe from radiation treatments on the other side of the brain than the implant. There are specific reasons a form of radiation might make an individual a candidate for a radiation treatment for a specific damaging tumor. Recovery from Radiation treatment is short and is often done as an Outpatient procedure. Patients are often released to go home the same day as the procedure. 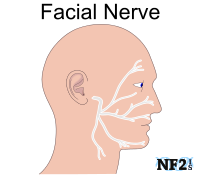 (UT Dept of Neurology, 2011)) Microsurgery can require a hospital stay of up to 3 to 15 days. There is a list of factors to discuss with your doctors before having radiation treatment. You should feel comfortable enough with the medical team you plan to allow to treat you, to ask and make sure they understand your questions and concerns. The list is extensive, and you may only want to discuss some of the questions as others might not apply to your situation. For example, you may not have an implant. You should ask questions that occur to you that aren't on the list also. Feel free to print the checklist out and take it with you to your appointments. Take a pen or pencil with you to take notes! Being prepared and knowing what to expect can help reduce anxiety and stress in children as well as adults. What are the advantages as well as side effects of the treatment; 1) immediately after, 2) days, 3) weeks, 4) months, 5) years after treatment? Since swelling is a natural part of radiation-based treatments, how long after treatment before visible tumor reduction in an MRI? 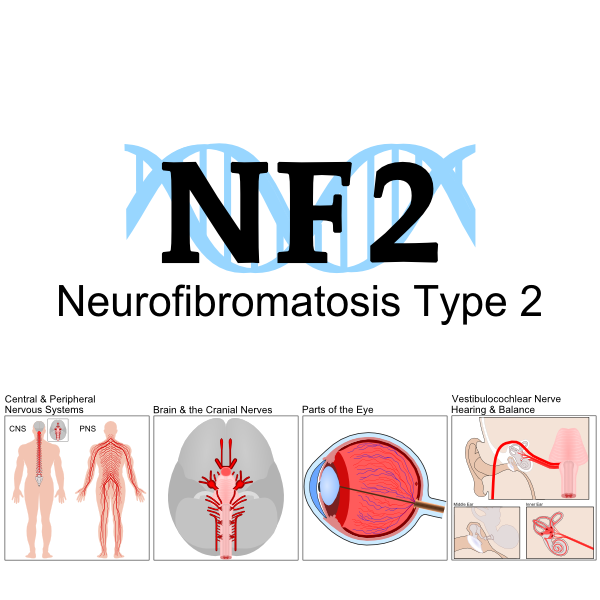 Confirm the doctor is aware that individuals with neurofibromatosis type 2 (NF2) typically have multiple small schwannomas, not a single mass. These masses can appear as one mass in an MRI. 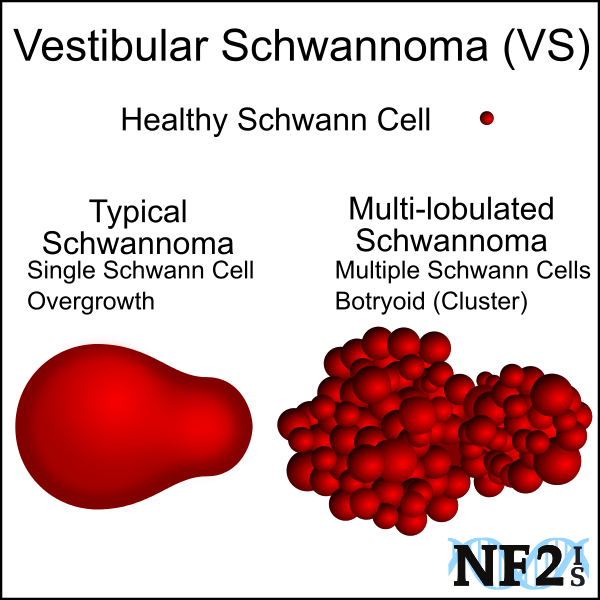 The doctor needs to identify each part of the schwannoma since the radiation treatment process requires treatment of each part separately. Confirm the doctor is aware radiation treatment can destroy a hearing implant if the treatment is at a high dose close to the receiver (implanted part of a heating implant). Claus, E. B., Calvocoressi, L., Bondy, M. L., Schildkraut, J. M., Wiemels, J. L., & Wrensch, M. (2012). "Dental x-rays and risk of meningioma." Cancer, 118(18), 4530-4537. Johnson, Mahion D., Burak Sade, Michael T. Milano, Joung H. Lee, and Steven A. Toms. "New prospects for management and treatment of inoperable and recurrent skull base meningiomas." Journal of Neurooncology 86 (2008): 109-122. WNN - World Nuclear News. World Nuclear Association. "What is radiation?" Mohammadi, Alireza M., et al. "The role of laser interstitial thermal therapy in enhancing progression-free survival of difficult-to-access high-grade gliomas: a multicenter study." 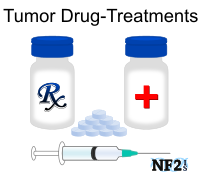 Cancer medicine 3.4 (2014): 971-979. Medvid, R., et al. "Current applications of MRI-guided laser interstitial thermal therapy in the treatment of brain neoplasms and epilepsy: a radiologic and neurosurgical overview." American Journal of Neuroradiology (2015). "The role of laser interstitial thermal therapy in enhancing progression-free survival of difficult-to-access high-grade gliomas: a multicenter study"
"How Radiation Therapy Can Affect Different Parts of the Body." American Cancer Society. Saran, Frank, Liam Welsh, and Delali Adjogatse. "Radiation Therapy in High-Grade Gliomas." Radiation Oncology (2018).